Lana weighs 52.5 pounds, or 23.8kg today. We may be disappointed, but a lower weight could just be due to fluctuations in diet intake and waste output. 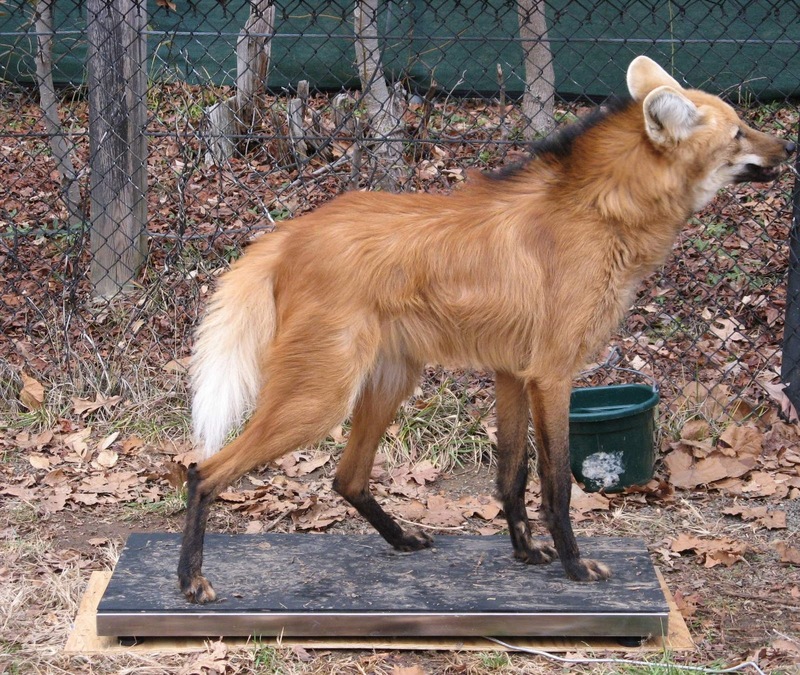 Maned wolves are omnivorous; they eat much more plant matter than their cousins the gray wolf. Their wild diet consists of small mammals, birds, plants, vegetables and fruits, insects, and small reptiles and amphibians. The "wolf apple" fruit, is an important part of their diet. At Animal Discovery, they eat a high quality dog chow, fruits and vegetables, mice and fish, and various enrichment treats such as beef knuckle bones.